Not all stars are good parents to their budding planets — some get downright nasty and kick their children into interstellar space. We’ve found a handful of these free orphaned planets before, and they’re called “rogue planets.” But a study today in Nature Astronomy suggests that the type we’ve seen so far, which are all gas giant sized, are the exception, not the norm. “Basically, it is much easier to eject an Earth-mass planet than a Jupiter-mass planet,” Przemek Mróz, lead author of the paper and a PhD candidate at the University of Warsaw, says. Research at the Warsaw University Observatory used data from the Optical Gravitational Lensing Experiment (OGLE) to search out these planets. Because they have no light of their own, they have to be found through gravitational lensing, which occurs when a large object bends space around it and acts like a giant magnifying lens, bringing out more distant objects. In this case, the Warsaw team used OGLE to find small events in observations of the galactic bulge, which provides a bright enough source to find planets. Lensing objects move slowly from our point of view. The object in the background moves on relatively quick timescales though. A Jupiter-size world creates a one- or two-day microlensing event, while an Earth-size planet will last from two to 10 hours — a mere blip. The OGLE data showed enough events that were likely super-Earth sized worlds to build a picture of something like this: 25 percent gas giants, 75 percent rocky worlds or ice giants. And it all has to do with the invisible hand of gravity. In short, stars are more likely to hold onto gas giants because the gas giants have a stronger grip. 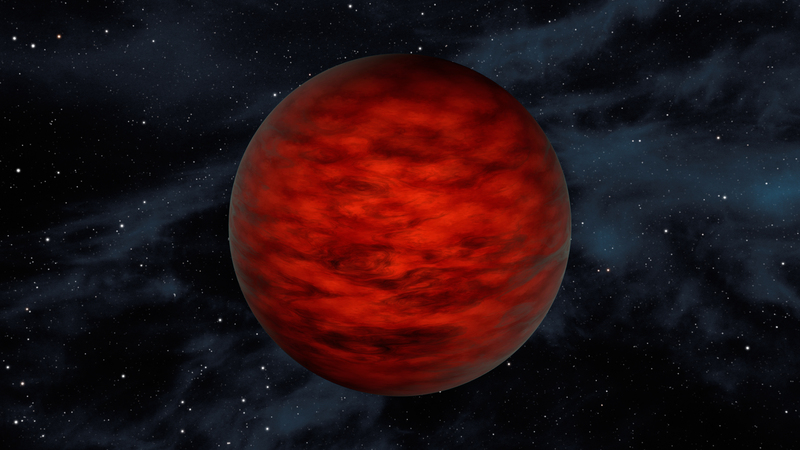 Finding those smaller rogue planets might end up the biggest difficulty. The events themselves last on a slow time scale, and happen relatively by chance. However, candidates identified on the ground could be observed by upcoming missions like WFIRST or Euclid to figure out quite what’s going on. Incidentally, those two observatories-to-be and OGLE share a characteristic in common—all were or will be designed to primarily search for the gravitational effects of dark matter in the absence of being able to spot it directly. There’s no correlation aside from “clumps of matter that give off no light,” but it could mean that the search for one will continue to crop up the discovery of the other for quite a while going forward. “ search for the gravitational effects of dark matter” Baryogenesis requires ppb chiral anisotropic space (Sakharov conditions) to favor matter over antimatter. Noether’s theorems couple exact angular momentum conservation to exact spatial isotropy. Baryogenesis forces ppb non-conservation of angular momentum – Milgrom acceleration, the Tully-Fisher relation without dark matter. 50 years of attempted nonclassical gravitation are a goat rodeo. One suspects all physics’ problems of a kind originate from the same testable reason. When you need research in the worst way possible – Uncle Al’s way. The worst it can do is succeed. Interesting idea, but more complex than the likely answer. The rotation curves in different galaxies are vastly different. There are likely several reasons for the “dark matter” observations, confounding the assumption of a single geometric or material reason. It’s seems pretty obvious what dark matter is, namely the word that dare not speak its name (among respectable physics company) – Tachyonic fields emitted and absorbed by black holes. That explains why it’s so damned elusive and non-reactive with normal matter – Anything else would violate causality. Also being emitted by supermassive black holes at the centre of galaxies, and re-absorbed in part by the smaller ones peppering the rest of the galaxy might explain the smooth distribution (and the varying rotation curves you mention, if any of these black holes are a sizeable mass, perhaps acquired in a past galactic collision). Think of a water hydrant spewing water but surrounded by porous gravel and stones where most of the water sinks back into the ground. Finally, any portion not re-absorbed accelerates, in the manner of tachyons, losing energy all the while until perhaps the remnant could change character in some way (which is a somewhat problematic aspect of the idea I admit!) and manifest itself as a general and uniform expansion of space. Even I am not crazy enough to believe tachyons can form in flat space, but in the deep interior of a black hole, perhaps on the inner horizon, who knows? Well, for one thing, tachyons would indeed violate causality, if we’re worried about that! I favor multiple origins. It’s a Gordian knot of a problem. Do you have a point, or are you just daydreaming? That was a great book, wasn’t it! I love the movie; if you notice on the very last scene; after they land on the new world, there are Pyramids in the foreground, just obscured enough to see, but not clearly. I would love to see the original art work that was used for the last scene. I suppose they deliberately obscured the image to not be too obvious about the possibility that an Ancient civilization had once lived on this wandering star and planet (rogue solar system). My other fave is ‘Forbidden Planet;’ not quite the same, but it too is another wonderful sci-fi story. Starless planets, drifting through space. Very cool.